Choragudi is an Assistant Professor at the Centre for the Study of Social Exclusion and Inclusive Policy, National Law School of India University, Bengaluru. He has Master’s in Anthropology from the University of Hyderabad. 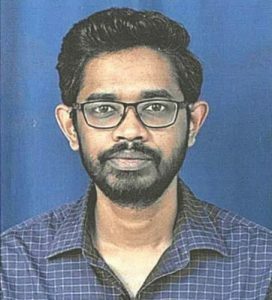 He is awarded the PhD for the thesis ‘Changing Socio-Economic Hierarchy in Post-Independent Rural Andhra Pradesh: An Ethnographic Study of a Coastal Village’, was a based on an 18 month long fieldwork, from Tata Institute of Social Sciences, Mumbai in May 2016. He was the recipient of Rajiv Gandhi National Fellowship for the period 2019-14. His interests are Sociology of Change, Caste and Class Dynamics, Village Studies, Qualitative Research Methodology, and Ethnographic Research. He has joined CSSEIP in the May of 2016.